2080 - Photo: Ian Johns. 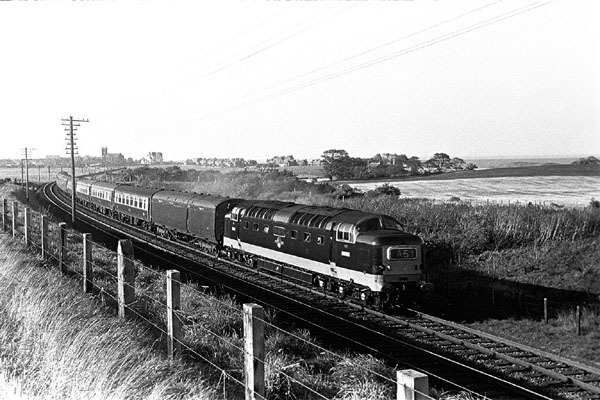 With the parish church of Dunbar dominating the background Haymarket's D9006 takes the 1A51 16:00 Edinburgh - King's Cross, "The Talisman", which included Pullman vehicles in the consist, south towards Oxwellmains on 24th September 1964. D9006 was named "FIFE & FORFAR YEOMANRY" during a ceremony at Cupar approximately eleven weeks later on the 5th December.